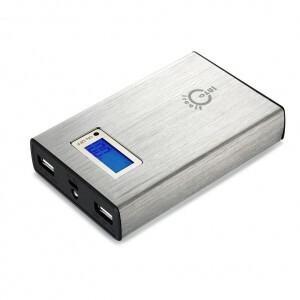 With aluminum alloy brushed shell and cubic shape with hard outline, the Intocircuit Power Castle 11200 mAh power bank holds huge power to charge your mobile devices. In addition to indoor usage, just as most plastic-covered batteries do, Intocircuit Power Castle is built for more circumstances such as camping, joggling, traveling, and other outdoor activities. The Wirecutter, in June 2014, named our Intocircuit Power Castle 11200 as “The Best USB Battery Pack for Travel”, after evaluating nearly 30 USB battery packs. Tested Tech, accounting for size, price, capacity, and all the quirks that turned up during testing, Intocircuit Power Castle 11200 mAh emerged as the best travel buddy if you’ll be on the road for two days or longer. Intocircuit Power Castle offers the most mAh-per-dollar without being too bulky. Devices start charging automatically, and a built-in LCD screen tells you how much power is left. For typical smartphones, you can expect more than a few hours of extra battery life. – Compatible with all Apple and Android smartphones, tablet and other USB charged devices with 5V charge input. – The iPod Nano, iPod Shuffle, Fitbit, Samsung and Asus tablet and some GPS and Bluetooth devices are not supported.